We live in a stressful world, and at one point or another, you’ve probably felt like your stress is overwhelming. 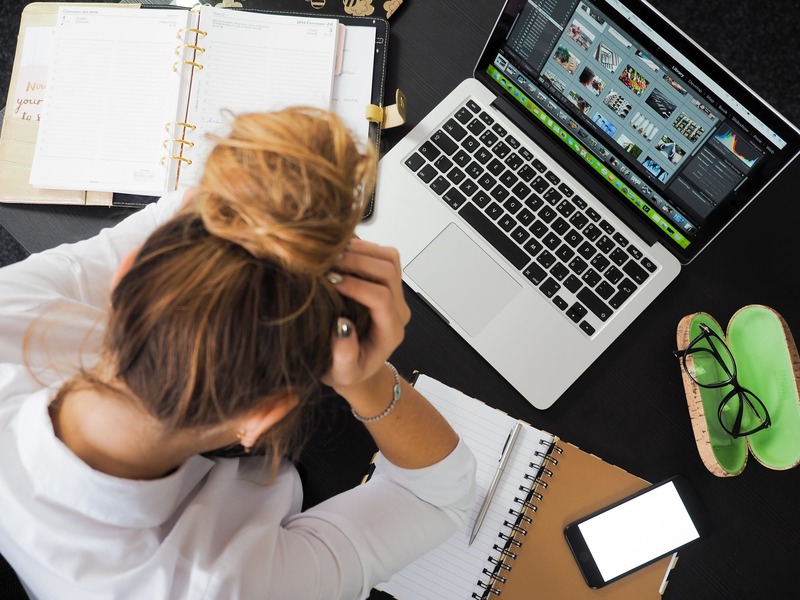 Where some stress can be beneficial (like helping you deal with urgent or life-threatening situations), too much stress can be unhealthy and have lasting effects on your physical and mental health. So how can you decrease your stress levels to a manageable amount? It’s not like you can just walk away from most potentially stressful situations (ie work, school, family, etc). But you can make a few simple life-changes that will help you cope. Here are just a few ways you can combat stress. This is something simple and fairly easy that you can practice every day, and turn to any time you feel especially stressed. Taking time to breathe deeply for a certain number of counts is known to help subdue stress responses. Deep breathing, also known as “belly breathing,” is controlled breathing through the nose, filling the lungs and making the belly rise, and out through the mouth. You can try deep breathing anywhere, anytime, but try to find a place where you can lie down and close your eyes. Meditation can similarly help your mind relax and your body release tension. There are many different ways to meditate, so try experimenting with what works for you. The key is consistency. Ideally you’ll meditate in the same place and at the same time every day. You can also explore meditation apps that will send you reminders and walk you through the steps. If you’ve been researching ways to decrease your stress, then you’ve most likely come across the advice to exercise. You hear it all the time. That’s because nothing can quite replace the lasting physical and mental benefits of regular exercise. When you regularly exercise, your body produces chemicals that help stabilize mood, reduce tension and stress, and even improve your self-esteem. You might not get the recommended 150 minutes of moderate-intensity physical activity per week, but even just ten minutes of physical activity every day can make a difference. If you’re having a hard time getting motivated, ask a friend to exercise with you or make reminders for yourself to hold you accountable. Sleep is extremely important. Even though you might not be conscious, your body does a lot while you sleep. That’s when your body has a chance to heal and grow, and your mind processes things and stores memories. Sleep deprivation will only increase your stress levels, not to mention the other physical, mental, and emotional complications it can cause. If you’re stressed about meeting a deadline or fitting in a task, remember that staying up all night won’t benefit you in the long run. Getting a good night’s sleep will help you be more alert and effective. Sometimes you can fall prey to a vicious cycle: you can’t fall asleep because you’re too stressed, and you’re more stressed because you don’t get any sleep. The food we eat has a huge impact on how we feel emotionally and psychologically. If your stress levels seem unmanageable, try looking at the fuel you’re feeding your body. You might want to limit your intake of refined sugars, processed foods, and caffeine. You should also increase your intake of healthy, stress-fighting foods, like fresh fruits and vegetables. Certain essential oils can help you relax and feel rejuvenated, and aromatherapy is a popular stress-reliever at the spa or at home. Herbs and plants were once commonly used to combat mental and physical health issues, as Gary Young, founder of Young Living Essential Oils, discovered. Thanks to him and other researchers, we are learning some of the benefits of natural oils and aromatherapy. Scents such as lavender and chamomile have been shown to reduce anxiety and help with sleep. It’s an easy way to relax after a long day at work or school and to get your house smelling nice in the process. While a lot of the stress we face is unavoidable, we sometimes take too much on ourselves. It’s important to learn your limits and learn how to prioritize. Using a to-do list or time management matrix can help you understand what’s important to you and what can wait. If someone asks you to do something that you know you don’t have time or energy for, just say no. It’s in your best interest to refuse some requests and opportunities. In the end, remember that you’re only human. A little self care and relaxation can go a long way. Pay attention to your stress levels, and when things get to be too much, hopefully some of these tips can help you cope. Biography: Paisley Hansen is a freelance writer and expert in health fitness beauty and fashion. When she isn’t writing she can usually be found reading a good book or hitting the gym. • Are there Alternative Treatments for Periodontitis?